The Lebanese believe that za’atar, a mixture of thyme, sumac and sesame seeds, gives strength and clears the mind. 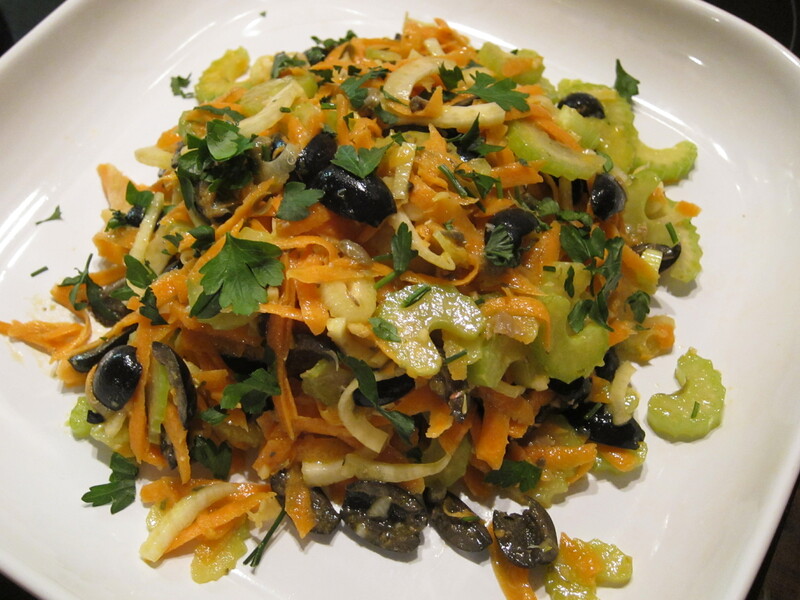 I do believe that this spice turns simple two veg salad in something exciting for the palette . Good snack or side to any meal. Cucumber, lemon juice, olive oil, salt and pepper and za’atar mix on top! Addictive! 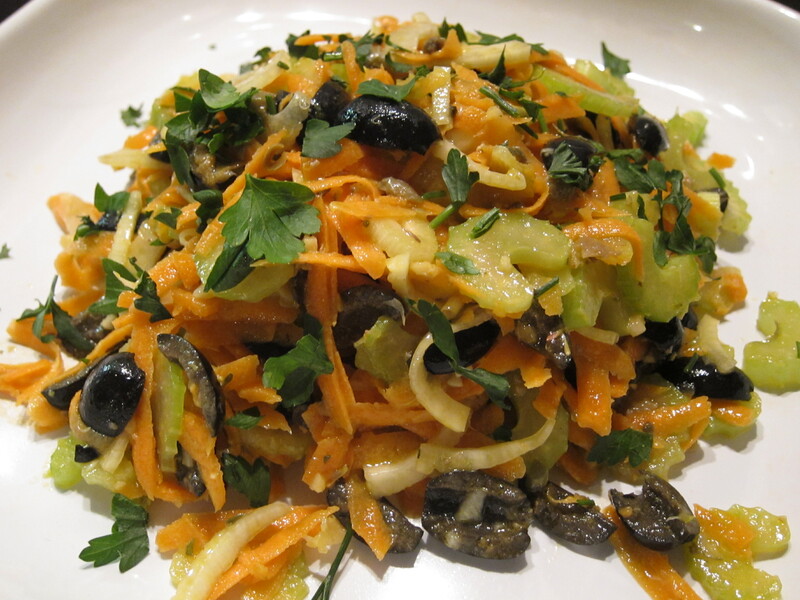 Make the salad as big or as small as you like, the ratios are really not that important. Slice cucumber and onions thinly. 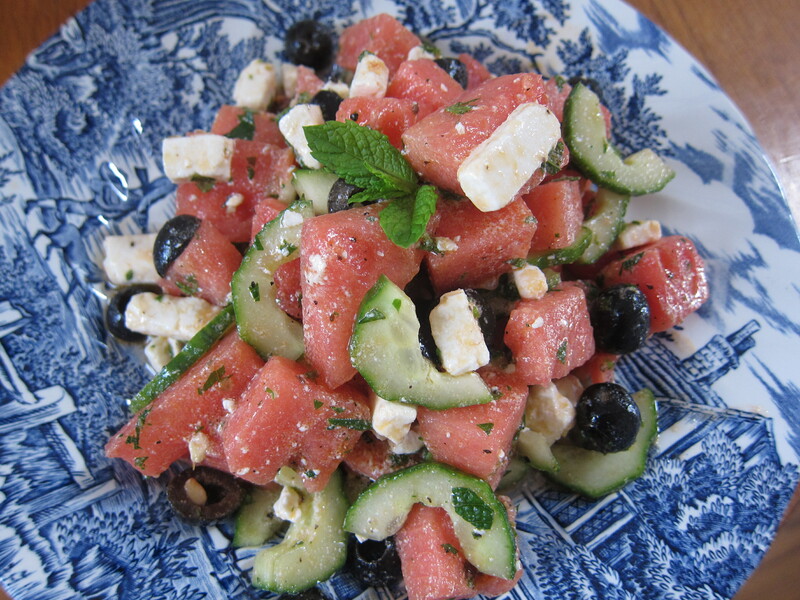 Drain off excess liquid from cucumber and arrange them on the plate, add onion slices on top. 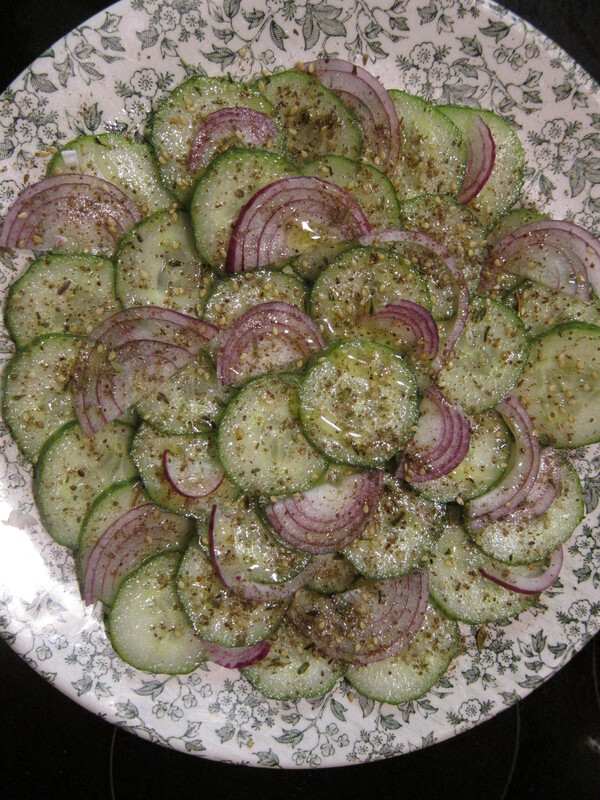 Sprinkle the za’atar over the cucumbers. Season with salt and pepper, lemon juice and olive oil.